The advertising for the Deadpool movie was already weird and metatextual, but there’s only one way to wrap your head around a five minute video of Ryan Reynolds, in character, heaping praise in the effectiveness of his movie’s ad campaign: by acknowledging that Deadpool has finally removed the last brick from the fourth wall. Deadpool’s marketing—in equal parts cute and overwhelming—arguably played a major role in making the film as huge a success as it ended up being, so it’s perhaps not too surprising that the film has now been nominated for a Clio Key Art award for its marketing. What is surprising? That Deadpool excepted the nomination by producing a whole new reel—one that is incredibly NSFW—in which Ryan Reynolds dons the Deadpool mask once more... this time to discuss how Fox planned its zany advertising campaign. Perhaps we shouldn’t be surprised. 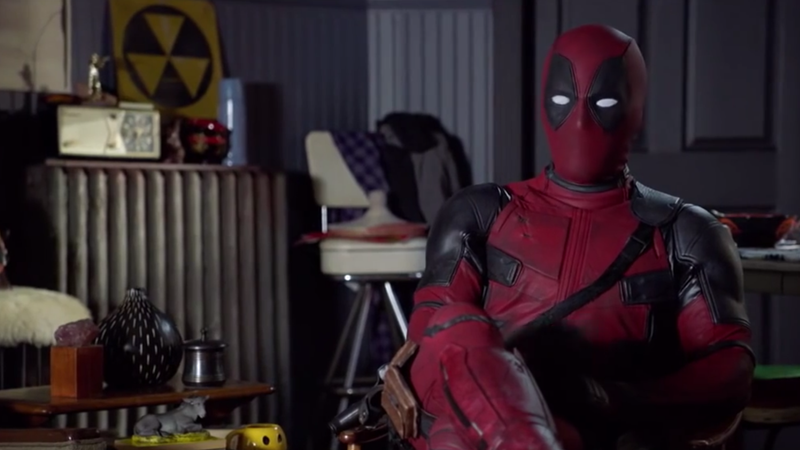 After all, Deadpool has become a walking homage to breaking the fourth wall. This is about as meta as the character can get. But it almost feels like a step too far beyond that fourth wall, a line that Deadpool has crossed and can no longer un-cross, almost like the character has turned itself inside out. Where can they go next? Wherever that strange new world is, we’ll probably enjoy getting to see it—as further proof of Ryan Reynold’s almost insane commitment to the character, if nothing else.